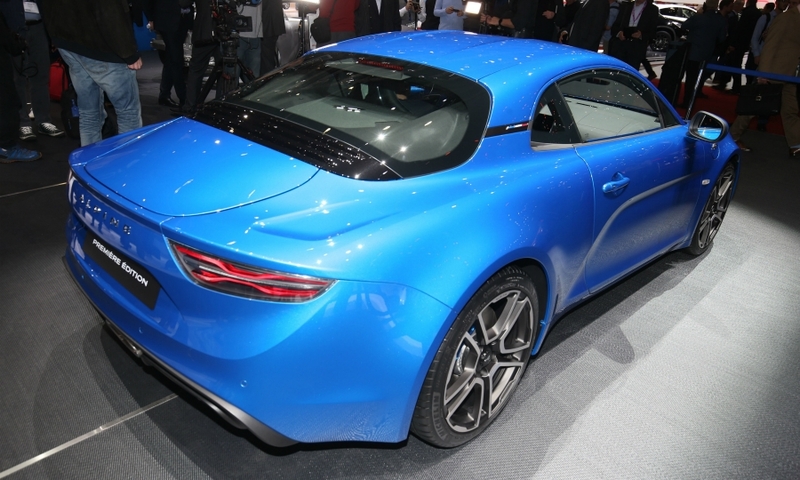 GENEVA -- Renault says its Alpine A110 sports car is more than an exercise in nostalgia. The company expects the mid-engine coupe to be profitable and if, all goes well, it could be the first in a new line of vehicles for the revived Alpine brand, rather than a one-off. The A110 takes technical and styling cues from the A110 Berlinette, which debuted in 1962, but is very much "a modern car," said Christophe Deville, communications director for Alpine and Renault Sport. "You can use it every day." The coupe is aimed at two groups of buyers: Men aged 45 or older who own multiple cars and "might have tried Porsche in the past," Deville said, and younger, successful entrepreneurs or tech workers who don’t know the brand but are "fans of design and modernity." Within the premium coupe segment, Renault is positioning the A110 as an alternative to the mid-engine Alfa Romeo 4C and Porsche 718 Cayman, which also have turbocharged four-cylinder powerplants. Without specifically mentioning either one, Deville said: "In this class, you have one car that is very efficient on the track, but you can't drive it every day. On the other hand, you have a car that is really amazing in terms of quality, quite powerful, but the weight is much higher than the Alpine." Renault says the A110's low weight at 1080 kg, its compact size (4178mm long, 1798mm wide and 1252mm high) and optimal weight distribution (44 percent front and 56 percent rear) and low center of gravity are all dedicated to agility, "especially on the type of winding mountain road that made Alpine's reputation back in the 1960s and 1970s." Still, the A110 is likely to remain a limited-production vehicle, with mid-engine cars seen as a niche within a niche. Alfa Romeo sold just 1,198 4Cs last year in Europe, according to JATO Dynamics, and Porsche only 3,032 Caymans, despite the introduction of the 718 model midyear. "The positioning of a sports car for a non-premium brand is a very risky game," said PwC Autofacts Global Lead Analyst Christoph Stuermer. "The market has shrunk to almost extinction over the past 10 years as SUVs started getting more attention." The first iteration of Alpine was started in 1955 by Jean Redele, a Renault dealer in Dieppe, France, who created a series of low-volume, lightweight sports and racing cars powered by Renault engines. Renault acquired the company in 1973, and the last production model appeared in 1995. With original A110s now coveted by collectors (examples routinely sell for over $100,000 at auction), Renault believes it has a built-in market for relaunching the brand. In December, the company opened reservations for a "Premiere" edition and within three days had taken orders for all of its limited production run of 1,955 units, a number chosen because of the year that Redele launched Alpine. Still, despite the initial enthusiasm, Deville said Alpine needs to make a profit for Renault -- and in order to do so will have to reach beyond French enthusiasts who remember Alpine from the Redele years. "In the Renault Group, Alpine has to be profitable. You can't have a car like this just for fun," Deville said, declining to cite production targets. "We believe it will be successful, and there will be others to follow it, for sure." Renault has previously said it expects to sell 5,000 A110s in the car's first full year on the market and 3,000 annually after that. Deville said the global collector market has helped Alpine's revival. "You can find many classic Berlinettas in countries where they have never been on sale," he said. "There is a real community of fans in Japan, in Australia, in South Africa and so on." 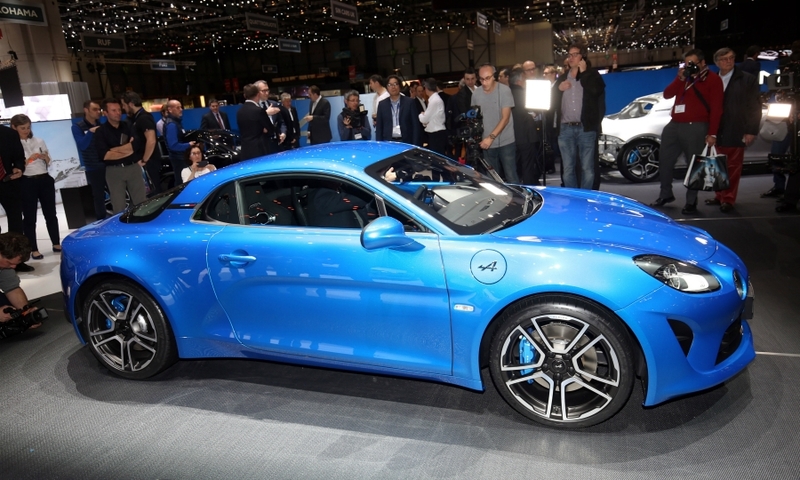 "We know the main market will be France for sure, but after that it will be Germany, the UK, Switzerland and Japan," said Deville, who spoke on the sidelines of the Geneva auto show where the A110 debuted earlier this month. 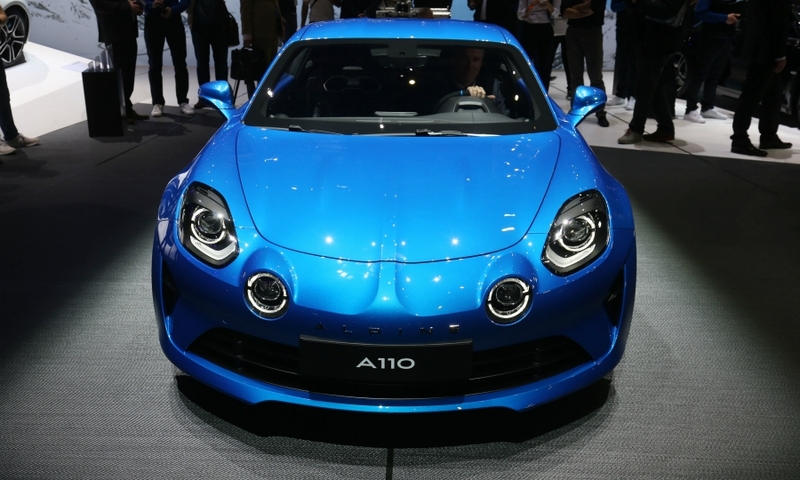 The Alpine A110 is powered by a 250-hp 1.8-liter turbocharged four-cylinder engine developed by the Renault-Nissan alliance and "customized for Alpine," the company says. It has a seven-speed Getrag dual wet-clutch transmission. The A110's aluminum structure and body are bonded, riveted and welded for stiffness. The A110's claimed performance is 0 to 100 kph (62 mph) in 4.5 seconds -- slightly faster than the base 718 Cayman. Its top speed is 250 kph (155 mph). The A110 will be built in Renault's factory in Dieppe, France, that builds specialty models such as the current Clio RS. Deliveries will start late this year in continental Europe, and in the UK and Japan in 2018. 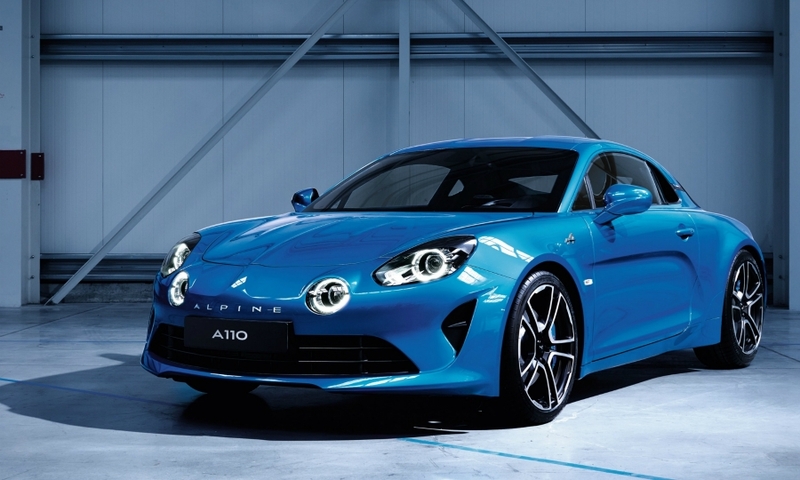 The A110 will be sold in dedicated Alpine salesrooms in Renault dealers. Renault said it had set a "tentative" price of 58,500 euros in France for the Premiere Edition with the final price to be confirmed in the summer. When the Premiere Edition run is completed next year, several A110 trim levels will be available with prices estimated at 55,000 to 60,000 euros, depending on options. 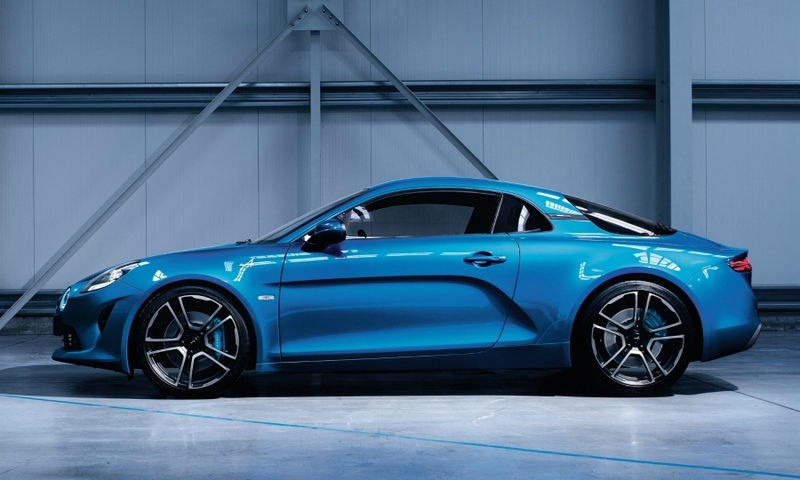 Renault's French rival PSA Group has sought to move upscale with its DS brand, and with the Alpine A110 set to be the most expensive product in Renault's portfolio, it could be the launching pad for a full line of vehicles. Asked whether the A110 could be homologated for North American sales, Deville said, "We can never say never, but for the moment, it's not a question." "To make a success of this car, we need to focus on quality, reliability and efficiency," he said. "We know that if we fail in any one of these aspects there won't be any more Alpines."